Come join us for our annual Easter Egg Hunt and festivities. Please join us and pray for revival! Sunday, April 14th, 6:30pm at Delightful Temple is a Palm Sunday Worship service. Wednesday, April 17th, 7:00pm at Kenly Church of God is The Living Last Supper service. Thursday April 18th, 7:00pm at Kenly United Methodist Church is a Tenebrae Service. Friday April 19th, 5:30pm at Grady Park is the Good Friday Procession of the Cross. We will carry a cross from Grady Park to the Kenly Cemetery & have a short service. April 17...Combined Easter Worship Service with Faith FWB at 7:30pm. 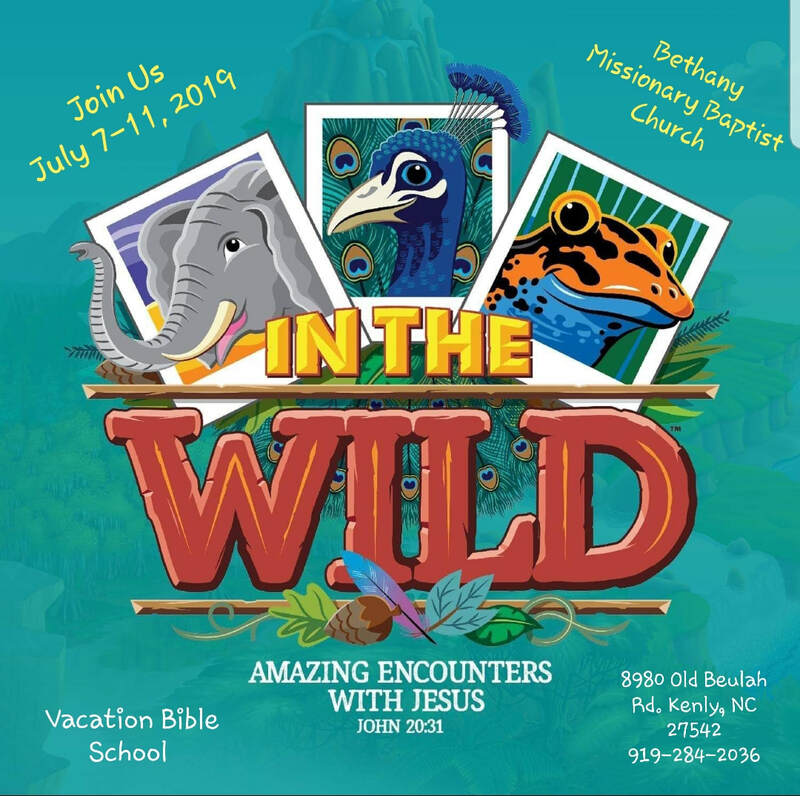 July 7-11th...Vacation Bible School...."IN THE WILD"
Our AWANA program is for ALL ages...from Babies all the way to High Schoolers!!!! Come Join us to see what it is all about! May 5...AWANA Sunday...Join us for morning worship at 10:45am & the Awana Blowout will be that afternoon!